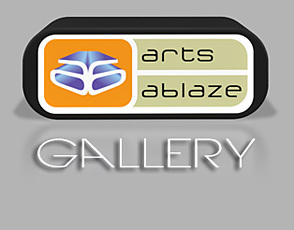 My name is David Hier and I am the creative force behind Arts Ablaze Design Studio and the Arts Ablaze brand. I originally created the brand as a platform to promote the sale of my artworks after I finished studying for a BA in Fine Art. Coming from an art and design background it was a simple decision to learn the basics of web-design and in 2002 created my own online gallery. In addition to promoting my own artworks, my Arts Ablaze online gallery eventually expanded to provide an excellent arena for exposing new and upcoming artists to a wide audience. The process of creating an online gallery and learning web-design reignited my passion for design and I soon realised that I wanted to strike out and make a living from my website and graphic design work. For as long as I can recall I have always been extremely passionate about art and design. I studied both art and design subjects prior to studying fine art at university and despite my choice of degree I kept a keen eye on design trends and the pioneering work of the worlds best designers. When my work under the Arts Ablaze brand signaled a return to producing my own designs, my enthusiasm continued to grow and mature. Good design is incredibly important to me and there are very few forms of design that fail to inform and inspire me. It's very important to me that I bring this passion for design to each project I take on and strive to push myself to create the best designs I can to the satisfaction of both my clients and my own high standards. Over the years I have expanded and improved my skills, mastering software such as Dreamweaver, Photoshop and Illustrator in order to provide the best design solution I can. I am constantly looking at how I can develop my abilities and offer more to my clients. In recent years I have branched out into the world of architectural and landscape design - architecture in particular has always been incredibly important to me. I have subsequently learnt to use 3D modeling applications and rendering software, such as Sketchup and Thea Render. Despite no formal training in architectural design I have been fortunate enough fulfil a life-long ambition and design and build a holiday home in Portugal. Details of the project - including hard landscaping design - can be found on the Architectural & Landscape Design page. Since working on this project I have worked on a number of other house designs and developed a great interest in architectural modeling and photo-real visualisation. I hope to expand my portfolio to include more architectural design and visualisation projects. 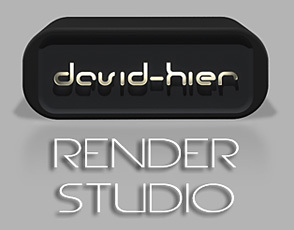 You can learn more about the architectural and product visualisation services I offer by visiting www.davidhier.co.uk. Arts Ablaze founder David Hier is also available to create 3D visualisations for your design and architectural projects, including modeling and rendering. An online gallery selling Contemporary Art in various media - including paintings, sculpture, ceramics, glass, and art prints.